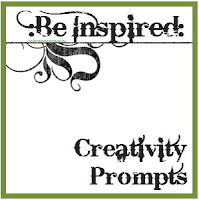 The August 2009 edition of the :Be Inspired: Creativity Prompts (formally known as Daily Inspirations) is now ready for free download! I've been formulating this redesign in my head for a while now and so appreciated the comments of those of you that responded to my recent survey. You really helped me get a better handle on the direction I wanted to go and I think you will find many exciting changes in this month's download. With the old format, I simply wasn't able to include the quantity and variety of prompts that I wished. Sometimes I had a prompt that I knew you would love, but it wouldn't fit in the challenge square format. I guess you could say, I felt a little boxed in. :-) Also, I made certain that there was plenty of room to 3-hole punch without cutting off any text in case you'd like to print them off and collect them in a binder to refer to whenever the mood strikes you. I heard you loud and clear. Sketches are certainly a favorite among scrappers and I hope you enjoy the two I've given you to play with in this month's edition. Sketches will be a regular feature from here on out. Personally, I have always been greatly inspired by calendar-based events and while these types of prompts were included in the old format, this new grouped format allows me to expand and improve the visual connection between those types of prompts. Again, while included in the old format, these color prompts are custom designed and bigger (literally) and better! Yup, they're still there. Check out the bottom of page 3. Many of you said that you loved the old format, so I knew I couldn't get rid of the squares all together, so you'll find them under Product & Technique Inspired. You can use them alone are along with the other prompts included in the monthly download. 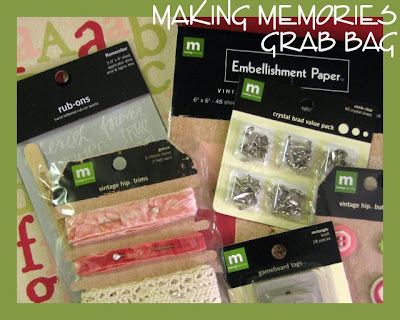 An grab bag full of amazing Making Memories products including a 6x6 paper pad (great for photo mats and layering), letter stickers, ribbon, crystal brads and more!! 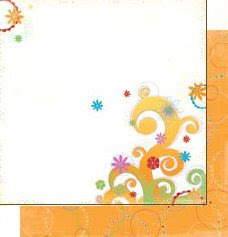 Download the FREE August 2009 :Be Inspired: Creativity Prompts now and start scrapping!! I have also updated the :Be Inspired: Creativity Prompts Information & Instruction Sheet which includes all the steps for submitting your entry for the monthly drawing, so be sure to download that as well. It's not too late for your chance to be inspired and win the July 2009 Daily Inspirations prize! Layouts can be submitted until Wednesday, August 5th, 11:59 PM (CST) for a chance to win! 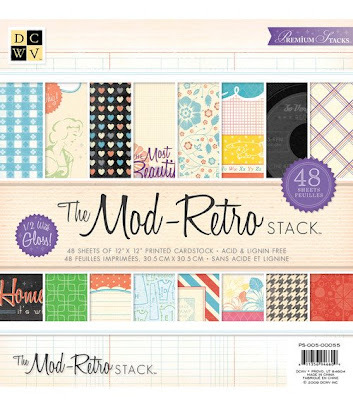 When I first started scrapping, I bought a lot (and I mean a lot) of the stacks by DCWV. It was a cost-effective way to get a lot of paper (I think those stacks used to have 180 sheets or something crazy like that) and there was always room for error since every stack had three sheets of every pattern. As I grew in my craft and developed my personal style of scrapping, I got a little more particular about the papers I spent my money on...and I pretty much abandoned the DCWV stacks. 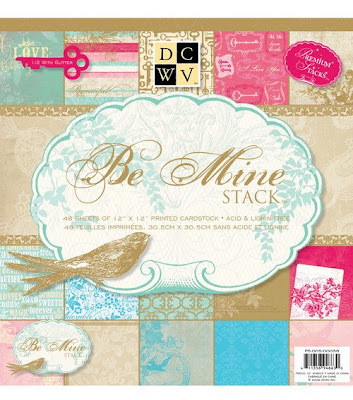 However, in the past couple of years, DCWV has really stepped up their game and started releasing some really beautiful (and high quality) stacks again - called premium stacks. 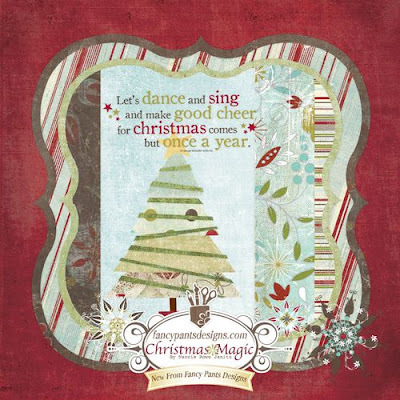 The beautiful designs are also often enhanced with glitter, foil, embossing and other amazing textured finishes. They have recently release 8 NEW PREMIUM STACKS!! 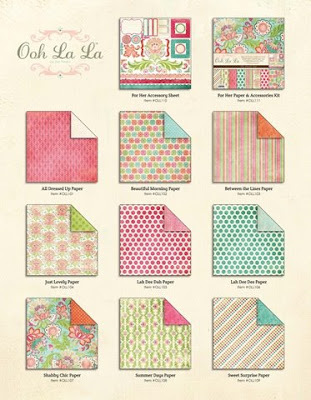 The vintage flair to these delicate patterns or perfect for some lovely layouts! 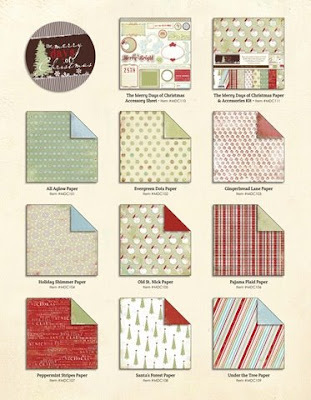 What better patterns could you find for scrapping about all your crafty endeavours?? 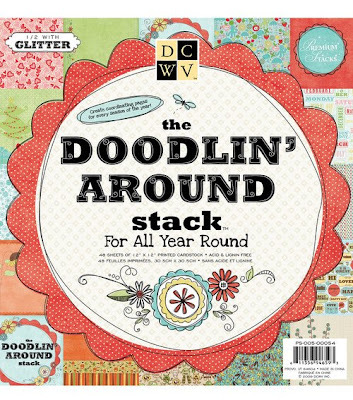 If you love the look of doodles, but can't quite achieve the desired effect with your own hand-drawing, this stack is perfect for you! 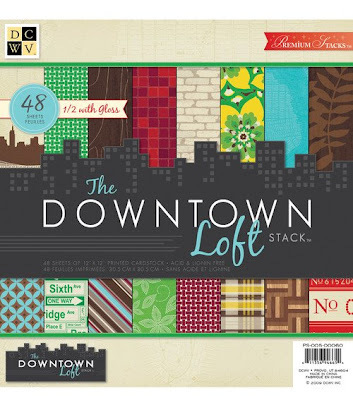 A little urban...a little retro...these patterns are sure to create a little downtown flair. 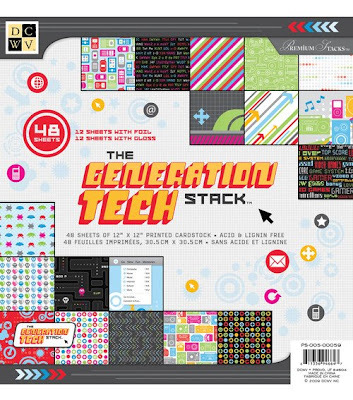 With bright colors and fun shapes, this stack is perfect for scrapping the teens in your life! This stack will have you daydreaming about your childhood hometown. 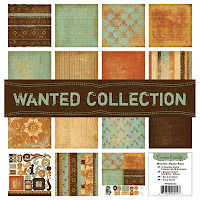 If you see one (or two...or three...) that you like, you should head on over to Joann.com! Right now they have these brand new stacks and more on sale for 50% off! 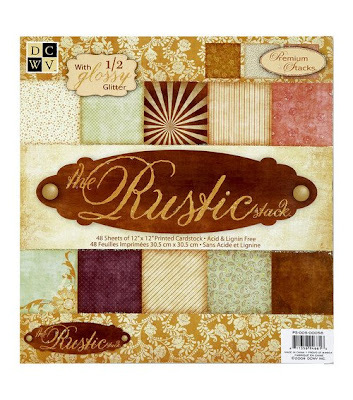 That's only $9.99 for a stack of 48 sheets of stunning patterned paper! That's like $.20 per sheet!! Please share why your favorite is your favorite in the comments below! They are all wonderful, but interested to see if there will be a 'clear' favorite. I can hardly believe it, but was February when I last took Kaitlin out for a dedicated photo shoot!!! It had been mere days before I broke my leg - which obviously put a damper on my photo taking capabilities for awhile. I'm sure that is longer than ever before (at least since I went digital several years ago. She had gotten this blue jean skirt and green tank top for her birthday earlier this summer that I have been wanting to shoot her in ever since then so last night we finally went out for a shoot. I'm always scouting our small town for new locations and have never taken any pics of her on the railroad tracks that run through town and thought that might fit her outfit well. At first, I didn't think I had that many that I liked...sometimes it's hard to tell on that tiny little screen what you've really got...especially when outside because they don't show up that well on my screen in sunlight. ...I ended up liking quite a few of the shots we took. ...she is quite the 'poser' sometimes! I think that this is my favorite shot of the night! I love that little knee sticking out! However, I do quite love this one also...it was one of those happy accidents. I almost deleted it because Kaitlin was out of focus, but then I caught myself and took another look and fell in love. I can already see a scrapbook layout featuring this photo with some introspective journaling about her future and the path (tracks) she may follow...can you see it?? Then we went across the street to take some pics on this little walking bridge. I really tried to get some close-ups, but she wasn't having it. Notice the tattoo?? It is fake, of course...she's been on a little rub on tattoo kick lately, but I figured in this case it might even add to the location shots. I'd love to hear what you think of these. Any favorites? Any suggestions? "Mere color, unspoiled by meaning, and unallied with definite form, can speak to the soul in a thousand ways." "I found I could say things with color and shapes that I couldn't say any other way--things I had no words for." Whenever my husband (who has fished all his life) and my daughter go fishing, she always seems to catch more than him and it’s just so funny!! He hasn't taken Kaitlin fishing much this summer (maybe it's a little too hard on his ego), but summer just seems to be slipping away from us this year. We're still hoping to go camping one weekend, but we'll just have to see. Anyway, with this layout I wanted to let the photos and the large title tell the story. I wanted to highlight the photo of the two of them together with their ‘catch’ so I double-matted it. The two parts of the large title are balanced by placing one part on the upper left and the other on the bottom right. 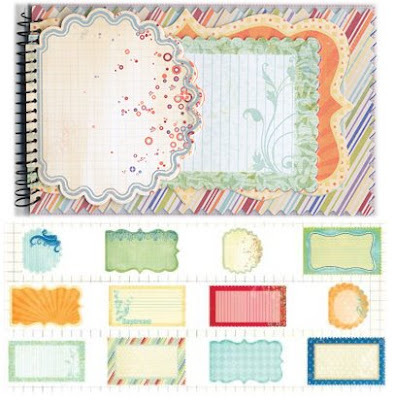 Don't forget to submit your entries for the July 2009 Daily Inspirations giveaway! 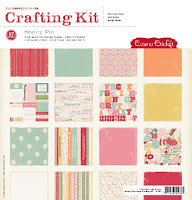 You have 10 crafty days left your chance to win the complete Cosmo Cricket Honey Pie Crafting Kit! For fully submission details, go here. 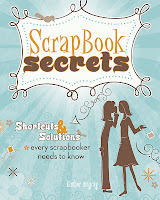 You would think that after scrapbooking for 7+ years and all the idea books and crafting magazines that I've read that their wouldn't be any 'secrets' left that I haven't heard, but I was proven wrong as I read Scrapbook Secrets: Shortcuts and Solutions Every Scrapbooker Needs to Know by Kimber McGray. 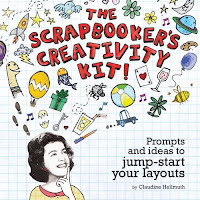 In the intro, Kimber describes her book as containing "...50 basic techniques that will make scrapbooking easier and your layouts more interesting." While the word 'basic' may be used to describe the technique itself, the layout results highlighted in this book are certainly not (basic, that is)! This chapter includes "best design secrets and helpful tool how-tos." This chapter proves that "there is always an easier way to complete even simple tasks." 13 secrets are revealed including how to use a punch to create uniformly sized photos and how to create quick tags to embellish your layouts in a multitude of ways. This chapter shows how making up for missing embellishments or fixing a 'mistake' can actually lead to a better layout. 11 secrets are revealed including tool tricks to creating perfect rings and creating a successful mixed-font title. This chapter will have you looking at your tools and supplies in a whole new light! 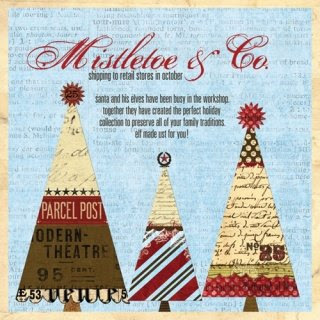 10 secrets are revealed including using stamps to create custom die-cuts and creating scallop borders without a scallop punch or trimmer. 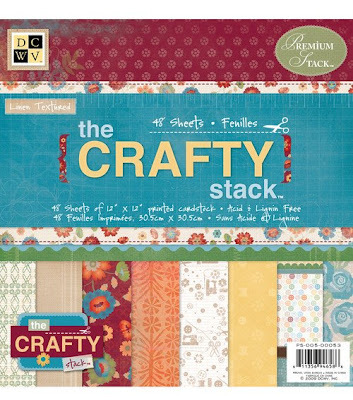 There are over 60 amazing layouts and over a dozen stunning cards included in this book demonstrating each and every one of the 50 scrapbooking secrets outlined in this book. 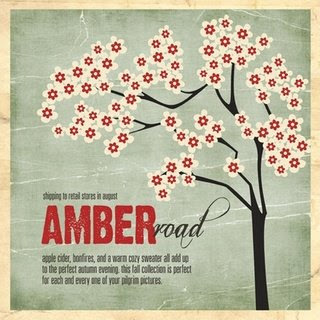 Each scrapbook secret is accompanied by detailed instructions and photos to guide you along the way. There is a list of 17 amazingly talented contributors (including the author), so there is a wide range of themes and styles included...a little something for everyone. The contributors include: Yvonne Busdeker, Lisa Dorsey, Summer Fullerton, Paula Gilarde, Linda Harrison, Sarah Hodgkinson, Kim Hughes, Marci Lambert, Vivian Masket, Kim Moreno, Janet Ohlson, Melissa Phillips, Janelle Richmond, Katrina Simeck, Sherry Stevenson, and Anja Wade. Have you read this book? Tell us what you think of it in the comments below. WANT TO READ MORE OR PURCHASE? 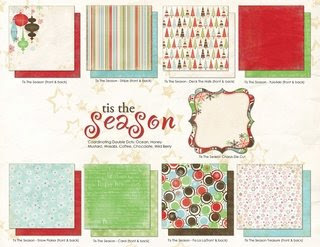 Visit the Scrapbook Secrets page at Amazon.com. You can also read more of my reviews for other recommendations. With the summer CHA to open next week, there are all kinds of sneak peaks out there to enjoy (and drool over). 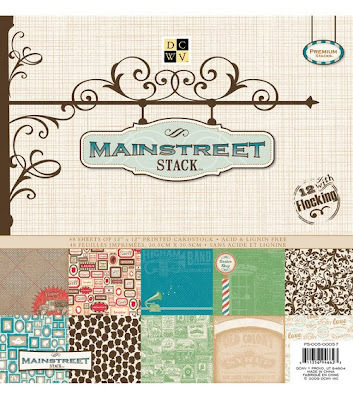 No matter what your particular scrapbooking style, your sure to find a few (okay, a few is probably an understatement) collections to add to your wish lists! Here are a few of my new favorites...all of the manufacturer names link to either their blog or website where you can see additional highlights of the featured collection and other collections for which they may be giving sneaks. 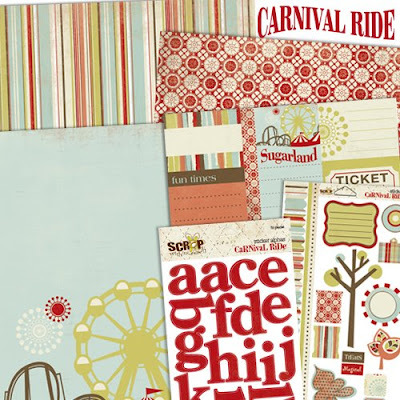 Scrap With Reach is a fairly new company, but really love the color combination of the bold red and soft blues and greens in this collection called 'Carnival Ride'. 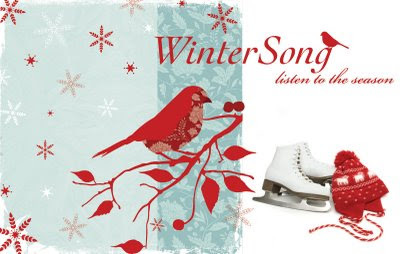 Here's a winter collection from SEI with a similar color combination 0f bright red and soft blues that really catches my eye...thinking I'm going to have to get Kaitlin a RED winter coat this year! I have been a fan of Making Memories as long as I have been scrapping and rarely dislike anything they come out with, but it seems they are notoriously stingy with their sneaks. All I've seen is this image on the homepage of their website which doesn't give a whole lot away, but am quite enamored with this colorful little ghosts. It always amazes me the sheer quantity of new collections that My Mind's Eye debuts with every release!! While I don't generally like them all, there are always a few that are quickly added to my must-have list. 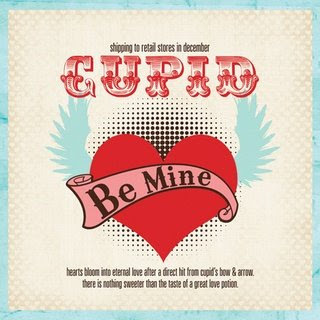 This release, those seem to be the Ooh La La and Merry Days of Christmas lines. I never was much of a Bo Bunny fan in the early years, but that is certainly changing! I LOVE the Calypso line they released a while back and now they have several new great lines coming out - my favorites being Flutter Butter, Gypsy, and Tis the Season. 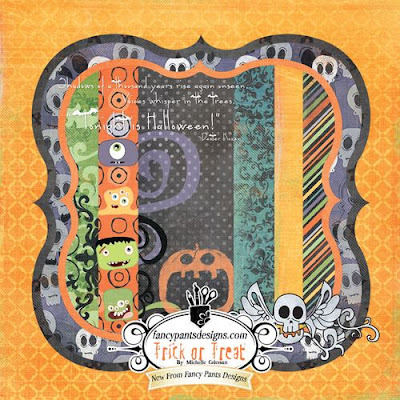 Fancy Pants always seems to have a collection or two that I like...this time it's Trick or Treat and Christmas Magic. I saved he best for last...in my opinion...this is my opinion because I really liked Pink Paislee when they came out with their debut collections a year or two ago, but became a little disillusioned with them after their last release. I didn't really like ANY of the four collections from the winter release. 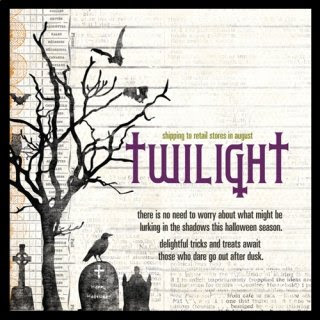 However, PP has most definitely redeemed themselves with the release of their newest four collections - Amber Road, Twilight, Mistletoe & Co., and Cupid. Not only do I love one or two, but I LOVE them all! So there it is...my favorite new releases I've seen so far to debut at the summer 2009 CHA show opening next week. All in all, my wish list just got quite a bit longer (and more expensive!!). In case you can't tell, I tend to gravitate towards collections with a distressed look to them, but there are new lines of all shapes and styles coming out. If you'd like to explore more new releases, these are a couple of my favorite places to stalk for sneak peaks - Two Peas and Serendipity Scrapbooks. How 'bout you?? What are your favorite new collections about to be released and why? Every so often, I collect a few fun links from my online explorations and I thought I'd share of few of my recent favorites with you. Looking for some great journaling prompts? Memory Makers recently posted a two-part article (part 1, part 2) containing some great prompts by Joanna Campbell Slan. 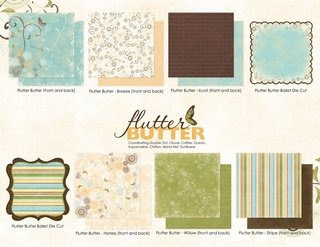 Here's a great article recently posted on Scrapjazz using the 'Top 10' theme as a starter for layout journaling. I recently discovered this blog and quickly added it to my reader! 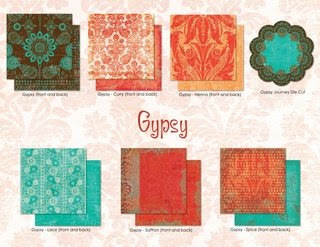 Not only does it have some great design eye-candy, but also some amazing free printables that could be easily used as elements of some amazing scrapbook layouts (or you could just use them as their more obvious purpose, but what would be the fun in that?) My favorites? Check out this, this and this! What is your favorite recent web-world find?? THANK YOU to all of you who took a few minutes to give me your opinions and insights about my monthly scrapbooking prompt download - currently called Daily Inspirations. Actually, I have made more headway than expected and hope to launch the new and improved format sometime next week for the August issue so be sure to check back. And, I imagine that I'll continue to 'fine tune' as time goes on so, of course, feedback is welcome and appreciated at any time. 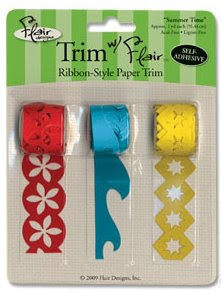 Without further ado, I'd like to announce the winner of the Cosmo Cricket Wanted paper crafting kit!! Congrats, Janine!! Please watch your inbox for more details on how to claim your prize! Thanks again to all those who contributed their thoughts!! The weather was beautiful here this weekend - sunny and not too hot - so after going out to lunch with my parents on Sunday, we decided to go for a leisurely drive out in the country. Once we were out on some not-so-traveled back roads, Justin decided it was time for a driving lesson for Kaitlin. If you need some great travel-themed scrapbook supplies to go along with these great quotes, check out this post! This was my daughter’s FAVORITE dress last spring and wanted to wear it every chance she got, so I wanted to be sure to highlight it well. I had this picture both in color and sepia, so decided to layer a cropped portion of the color photo over the full-sized sepia version for an interesting effect. Then I placed the sticker I used for my title over the rest of the photo. Initially, I wanted to use a rub on journaling spot on the painted butterfly to act as a home for the date, but for some reason it didn’t want to transfer well, so I created the effect myself using a paint pen instead. "Like star dust glistening on fairies' wings, Little girls dreams are of magical things." It just seemed to be the perfect complement to this dreamy photo and sweet patterned paper. What is your favorite quote? Have you used it on a layout? Summer is certainly in full swing! 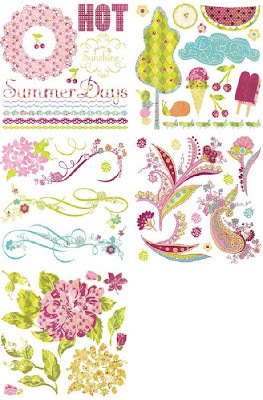 If you're lucky enough to have time to do some crafting in between all the wonderful photo opportunities and memory making that summer brings, you will find that's there is no lack of great summer-themed scrapbooking products hitting the shelves of your favorite scrapbook store. 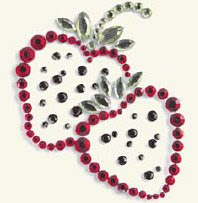 What the sweetest summertime find you've discovered online or in the aisles of your LSS? ?